BERLIN (Reuters) -- Audi's profitability slipped during the third quarter as spending on new factories and models outweighed gains from record sales. Profit as a proportion of sales at Audi eased to 9.2 percent in the third quarter, from 9.4 percent a year ago, the carmaker said. Volkswagen's flagship division, source of about 40 percent of its profits, overtook Daimler’s Mercedes-Benz in 2011 to become the world's No. 2 premium brand behind BMW Group’s namesake marque. At Mercedes, the profit measure jumped to 8.6 percent from 7.6 percent in the same period thanks to improved pricing. BMW is due to publish third-quarter results on Nov. 4. 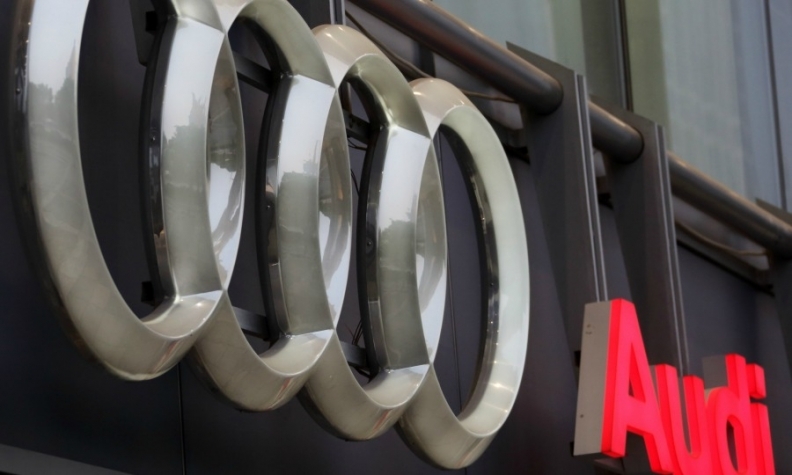 Audi’s third-quarter operating profit rose 5.5 percent to 1.16 billion euros ($1.45 billion) from 1.10 billion a year earlier, while revenues were up 7.5 percent to 12.6 billion euros in the same period, Audi said in a statement on Monday. Audi is spending over 1 billion euros ($1.3 billion) on plants in Mexico and Brazil, and may for the first time build more cars outside Germany than within its home country in 2014. Europe's premium carmakers avoided the worst of the sales downturn in their home region and have benefited from strong demand in the United States and emerging markets. Still, some 22 billion euros of planned spending on models, plants and technology through 2018 means Audi's operating margin may return to its 8-10 percent target range from 10.1 percent in 2013 and 11 percent in 2012, Audi said. While quarterly sales were up 7 percent to 429,295 cars on demand for SUVs such as the Q5 and higher-priced models including the A6 sedan, Audi has seen its overall 2014 sales lead over Mercedes shrink to 103,494 after nine months, from 118,110 a year ago. Some of Audi's models have peaked and the brand has pushed planned overhauls of its top-selling A4 model and the Q7 SUV into 2015. "Audi has fared much better than expected with its aging lineup," Frankfurt-based Bankhaus Metzler analyst Juergen Pieper said. "Mercedes is at a more favorable spot in its model cycle." Research firm IHS Automotive anticipates no changes in the race for the global premium sales crown. Deliveries of BMW brand cars may jump 23 percent to 2.04 million models by 2019 from an estimated 1.66 million this year, according to IHS. By comparison, sales may rise 16 percent at Audi to 1.91 million and 12 percent at the Mercedes brand to 1.67 million, it said.